In life, there is the ideal: fulfilling work, thriving relationships, financial security. Not to mention an orderly and beautiful home and children who never misbehave. And then there's reality: frustrations, illness, feeling overwhelmed and inadequate. We can wait around for our circumstances to change and in the process miss the goodness right in front of us. Or we can choose to love our actual lives, right here and now. 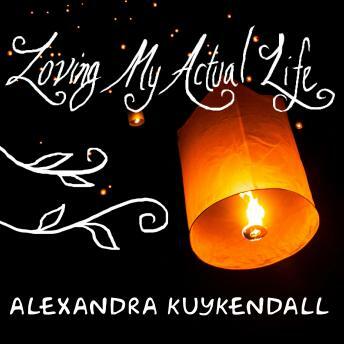 In this entertaining and insightful book, Alexandra Kuykendall chronicles her nine-month experiment to rekindle her love of her ordinary, actual life. After wiping her calendar as clean as a mother of four can, Kuykendall focuses on one aspect of her life each month, searching for ways to more fully enjoy her current season. By intentionally adding one thing each month that will make her jump for joy, she provides a practical challenge you can easily replicate in your life. With humor, poignancy, and plenty of personal stories, she shows how a few small changes can make this crazy-busy life one of holy contentment.